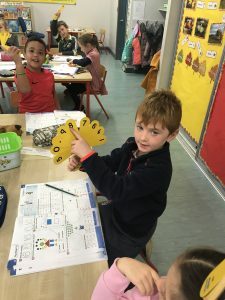 Maths Week 2018 – Midleton Educate Together N.S. 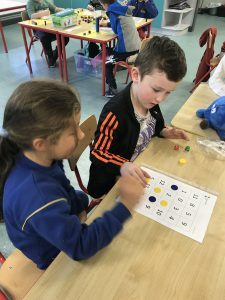 First Class celebrated Maths Week last week. 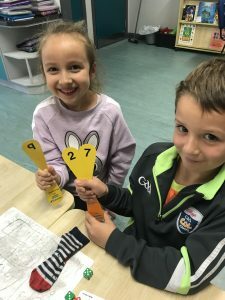 We are learning to combine/add numbers to a total of 20. We used cubes and our whiteboards to recall addition facts. 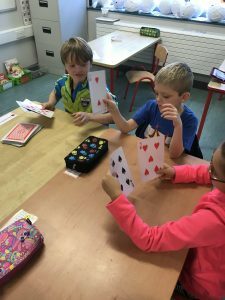 We also played ‘make ten’ game using a deck of cards. Our favourite game was ‘three in a row’. 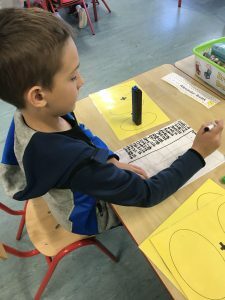 We took turns using two dice and we added the combination in the hope of getting a number on our number sheet. We also had great fun making our 3D pumpkins. 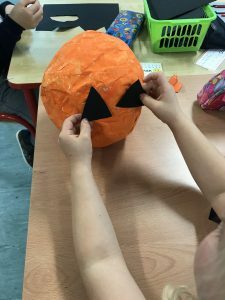 We learned about 2d shapes and we cut out different shapes to make the pumpkins features.